Sometimes it’s fun to venture out and try quilting tools and techniques on your own. But sometimes it saves a lot of time and effort to listen to the pros and follow their lead! Barbara Groves and Mary Jacobson of Me and My Sister Designs are celebrated for their super-simple patterns that look more complex than they are—they make us all look good! 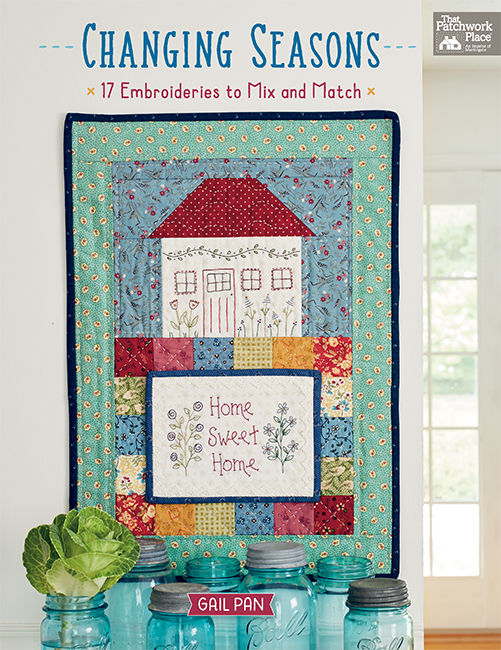 They’ve done their share of trial and error to refine their techniques, and in The Double Wide Dresden Book they share their top 10 tips for making quilting time easier and more efficient (read: more fun!). 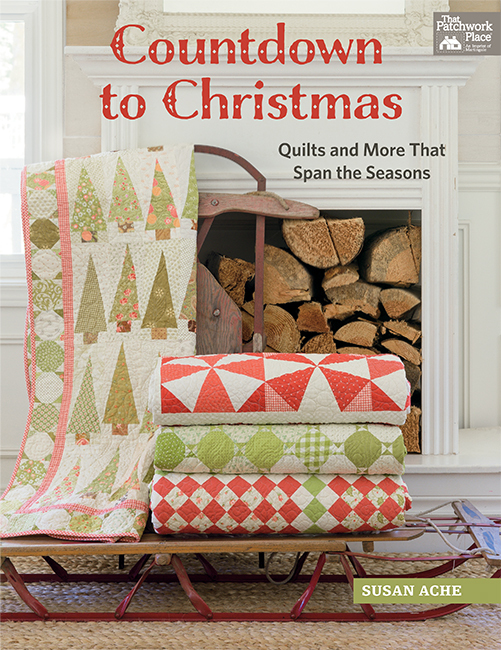 If you’ve ever dreamed of making Dresdens, this is the book to start with—and these are tips you gotta try, for Dresden quilts or any quilt you make. 1. We use fine glass-head pins when pinning. 2. In cases where pins might get in the way, like when edge-stitching around Dresden Plates, 0ur new-found love is a water-soluble fabric glue pen. When gluing, make sure you stitch your project sooner rather than later, so the glue does not dry out and leave you unglued. 3. There are some great point-turning tools out there and we’ve used many. We always come back to the “Purple Thang” as our favorite. 4. 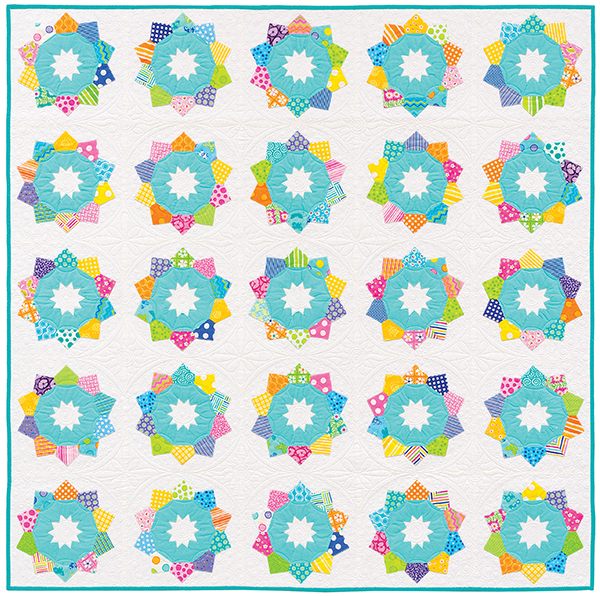 Scrappy quilts are the best! And the best fabric precut for starting a scrap collection is the Moda Layer Cake. It’s a great size. The largest-size wedge in The Double Wide Dresden Book fits nicely on a 10″ square, with enough fabric left over for some smaller wedges. 5. Use a ¼" foot with a guide to keep your seams straight and prevent them from swinging in or out at the ends. 6. It really helps to starch and press all your fabrics before cutting. Starch provides extra stability to small cuts of fabric and bias cuts. Once your quilt has been quilted and finished, always wash the starch out. 7. While we usually edge-stitch around the inner and outer points of Dresden Plate designs, edge-stitching is not for everyone. It’s okay to use your favorite machine-appliqué stitch instead. Zigzag and blanket stitches work well also. 8. We always press seam allowances open when we’re making our Dresden Plate quilts. Your seams will lie flatter and it will be much easier to match points. 9. Something fun you might try is fussy cutting a print for the wedges when you make quilts from The Double Wide Dresden Book. Now that you have a double-wide wedge, there is more room for fun. 10. 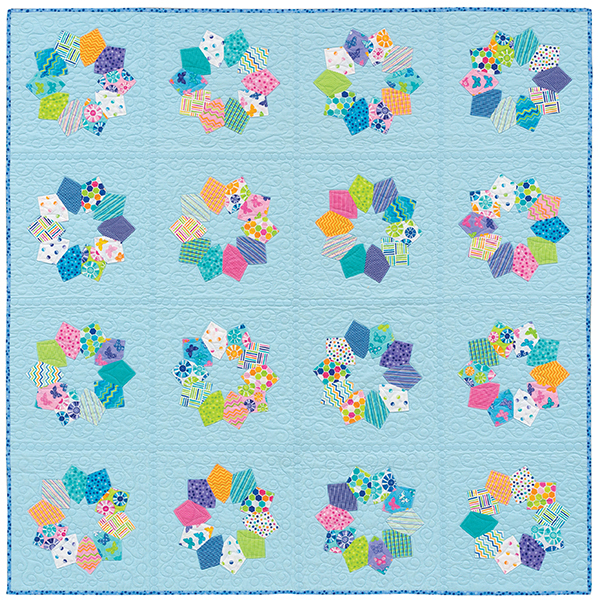 Chain piecing can be fun and save some thread at the same time! The sisters sure do know their stuff! 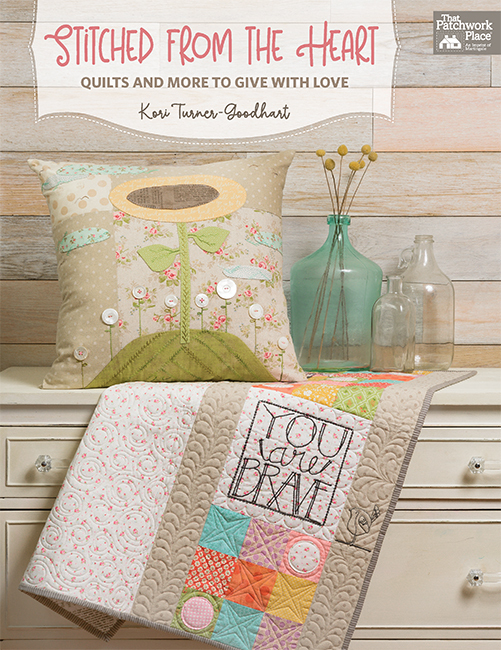 And now that you know what they know, you can create the cute quilts in The Double Wide Dresden Book with ease—pick up a copy of the book and dig in to a Dresden quilt today! 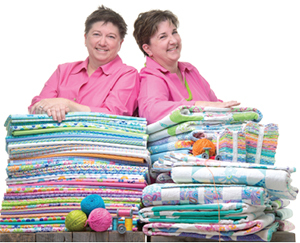 How many of these tips do you already use in your quiltmaking adventures? Tell us in the comments! 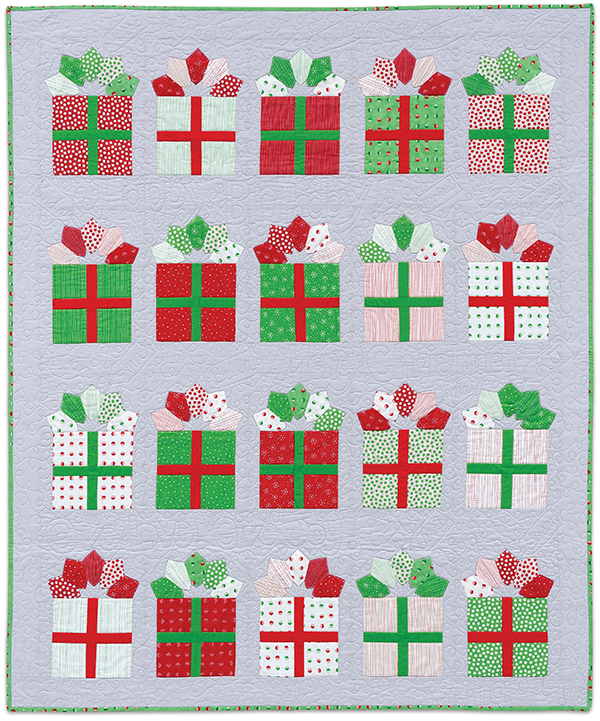 I do most of the Top Ten Tips except I very seldom have the need to fussy cut in my quilting. I do use the fine glass head pins but they are difficult to find if accidentally they fall on the carpet! Five tips I use consistently; others I have used; and there are three tips I need to try. Good tips. I use about 5 of the tips all the time. I have recently started using the fine glass head pins – they are wonderful. I have also started starching my fabric before cutting and pressing my seams open on small blocks! And yes, a good turning tool is so important to have!! Now I’ll have to start working on using those other great suggestions! I use them all though I tend to shy away from pre-cuts with a few exceptions. My favorite tip of these tips is the fine glass-head pins. I buy them every time I see them on sale even though I already have several packages that haven’t been opened yet. I use them for everything that needs to be held together in any way. Love the sharing of these tips. I do use most of them in my quilting…and I adore pre-cuts. 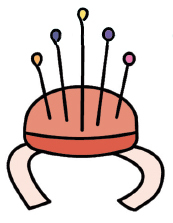 I really need to buy more of the fine glass head pins…I’m always losing them or they get "borrowed" and not returned! I love using layer cakes; they are y favorite precut. I use a lot of your tips already and plan to try the rest! I use all of the tips mentioned although sometimes I forget to use Best Press before I start cutting. I pretty much use all the tips but I especially love making Dresden Plate quilts. By trial and error, I learned the tips for making good Dresden Plates. Love their new book! Appreciate the pointers-have seen many admirable dresden quilts-but haven’t done one myself. I’ve used them all except the edge stitching as I prefer the blanket stitch. I use only five of the tips in my sewing. Honestly, Dresden plates are not something I like to sew, but I admire them when others do the work. I will have to get the fine glass head pins for sure, but I do use 6 or 7 of these tips all the time. I use those tips, they are all great! I especially love my purple Thang. just for turning, try it for holding the fabric in the correct position while sewing. It saves the fingers from disasters. Thanks for the Tips Sisters. I use most of them. I don’t have one of the purple things or I would use it. I do have other stuff that works about the same. One tip I have for you that I have not seen anywhere is "stop sewing about 1/2 inch before the end of the piece and line up your next piece and continue sewing." It is much easier to chain stitch that way and saves a ton of time. I also stack my pieces I am sewing as close to the stitching area as I can. For example, I put small pieces on the throat of my machine so I can grab them quickly. I use only five. I’ll have to try the other tips. I use glass head pins if I need to iron when they are in, otherwise the flower head pins are easier for my hands to grab. I do use glue for my binding since I don’t want to worry about pins and the clips are sometimes awkward when I am sewing something small. I do a lot of fussy cutting which is why I have problems with precuts since it is hard to have a focal point when things move around and there are so many different prints. I use my Accu Quilt to make my own fussy cut precuts. I always starch, I mostly use a 1/4″ foot but I also use a guide. When I press seams, if I am going to have a lot of seams meet in the middle I press them open. I also use a 1/2 cut wooden dowel when I press because I can get the seams flatter. I made a sampler of my machines fun stitches on 2 layers of fabric and on a a quilt sandwich so I can see how the stitches behave for different applications. That way I can have fun with the stitches. Sadly, I only use 4 of the tips but rest assured, after reading some of these great ideas I will be implementing them into my future quilting. I recently purchased the book and template and have it on my list of things I want to make. I’d say I use 2/3 of the tips. They are all good ideas. Great information – I use most of the tips and will try the others. Excellent tips, many of which I do, and some new ones, too! Oh! Wow! These are great tips! I only use about 4 of the tips. Thank you for sharing. mmm… the tips make so much sense. I use most of the tips but do not have a purple thing. I love glass head pins and have used them for years. Several, but still need a Purple Thang! I have used all of the 10. I did my first dresden earlier this year. It was not a positive experience. It is a goal to learn the process to perfection. I love the look of a beautiful dresden plate quilt. I use more of these than I thought I would when I started reading their tips. My Purple thang and my 1/4″ foot with guide are my go-tos. I always starch and press before cutting–amazing difference. I will be doing more of the tips so my work is better. Thanks for the great tips! I use three of Barb and Mary’s tips. I do like their ideas and their designs. I use most of the tips already, although I never starch my fabrics. I don’t know what I’d do without my "purple thang". I like the idea of fussy cutting fabrics for my wedges, and I will certainly try it. And, I LOVE my double wide Dresden ruler! I use 4 of the tips consistently and hacpve used the rest occasionally. I use most of them except for starching, I only starch when I must. I use all those tricks, and I have the double wide tool and book. I have to confess I haven’t gotten to it yet, but it’s on my list. Love you both, and your cheerful colors, and wonderful ideas. I use 5 of these tips on a regular basis. One I don’t use and i am going to start trying is starching. So many people are starching their fabric. The starch tip is a must in making straight no wave strips. I have never used glass pins. Would love to try them. All the other tips I have used or do daily. I use 8 of the 10 tips already in my quilty adventures. Thanks for a chance to win.